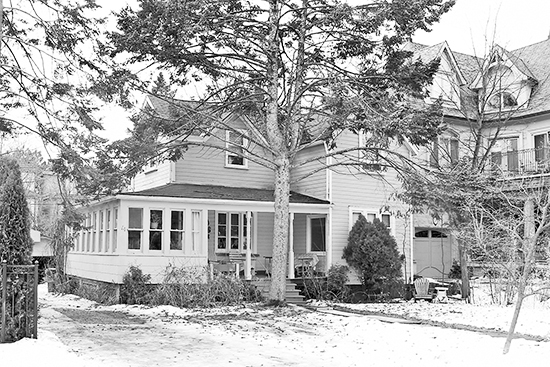 This house on Balsam Avenue is an original beach cottage. 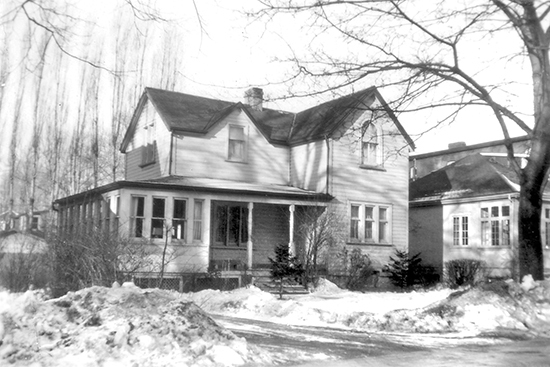 It was built in 1897, and the Thomas family lived here from 1936 to 1981. A teenaged Sonya Thomas (now Munro) received a camera as a gift and took many photos of her surroundings, including this image, taken in the early 1940s. Sonya said during winter months, she and her friends would go ice-skating on what is now the parking lot of the Balmy Beach Club. Thanks to Sonya for sharing this wonderful photograph. Do you have a photo you’d like to share? Call me at 416-691-4774. So refreshing to see. Thank you and thank you for keeping our history alive. Jim. (former neighbor across the street).